Fruits and vegetables have many health benefits, so you might be thinking that a glass or two of orange juice per day can only be helpful for weight loss. This may not be the case, however. 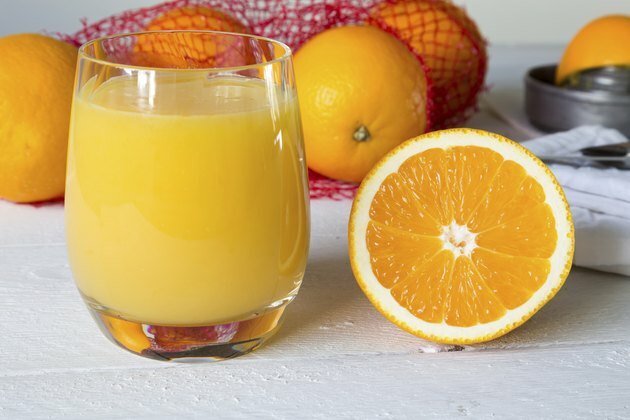 While orange juice may be high in vitamins and minerals, it's also calorie-dense, meaning it's easy to consume too much of it and hinder weight loss. An 8-ounce serving of orange juice contains 110 calories, of which 96 come from sugar. Ounce for ounce, this is only slightly less than chocolate milk, lemonade, cola and sugary energy drinks. The U.S. Department of Agriculture guidelines state that adult men need between 2,000 and 3,000 calories per day for weight maintenance, while women need 1,600 to 2,400. This means just one glass of orange juice accounts for 3.6 percent to 6.9 percent of your daily recommended intake. One of the main downsides to drinking orange juice when trying to lose weight is the sugar content. Excess sugar consumption can raise blood sugar levels, which can hinder your weight loss. Additionally, nutritionist Dr. Jonny Bowden notes that when compared to other types of sugar, fructose -- the sugar found in juice -- converts to fat more quickly. Juice-only diets, or juice fasts, are one way to lose weight while supposedly cleansing your body. 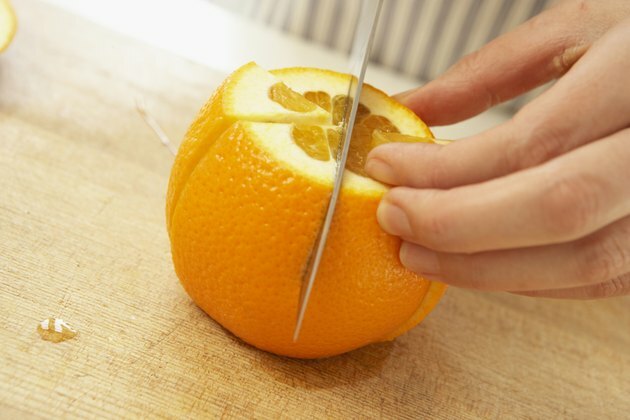 You might be tempted to try a fasting diet using orange juice, but this would be a mistake. Juice isn't bad, but to use it as a cleanser is futile, Stella L. Volpe of the Department of Nutrition Sciences at Drexel University told "Cosmopolitan" magazine. Drinking juice doesn't fill you up, claims professor Barry Popkin of the Department of Nutrition at the University of North Carolina in an interview with the "Daily Telegraph." You can have a sugar-filled glass of juice and yet be hungry in a couple of hours, leading you to take in more overall calories during the day. 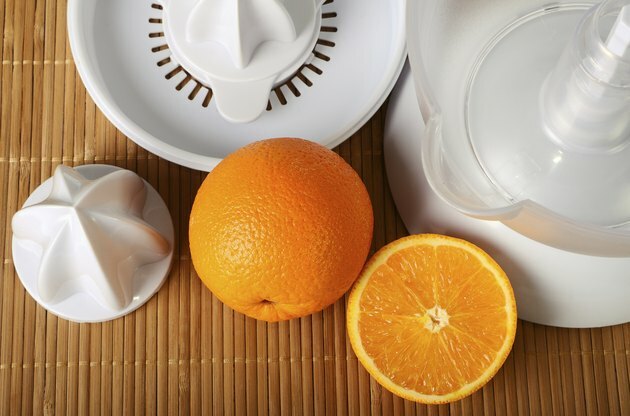 Orange juice can be part of your weight-loss diet, but because it's easy to overconsume and doesn't fill you up, it may be best to avoid juice. For a more filling, yet naturally sweet snack, eat an orange instead. You get all the vitamins and minerals that juice contains but with added fiber, which keeps you feeling full.